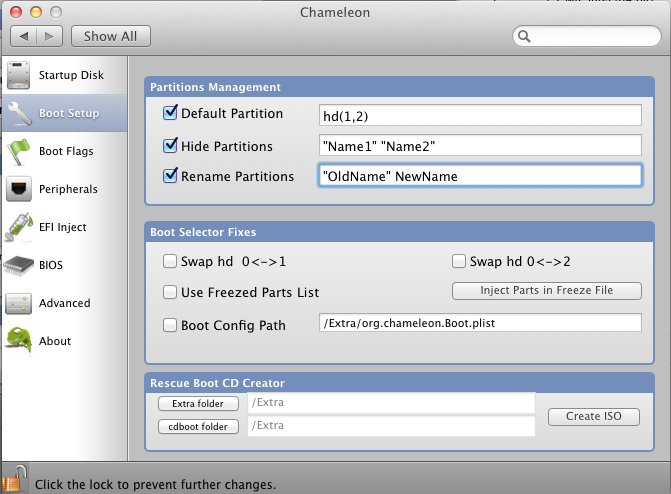 It's common knowledge that you can set the boot options for your Hackintosh by editing the file org.Chameleon.boot.plist (located in /Extra of your hard drive). 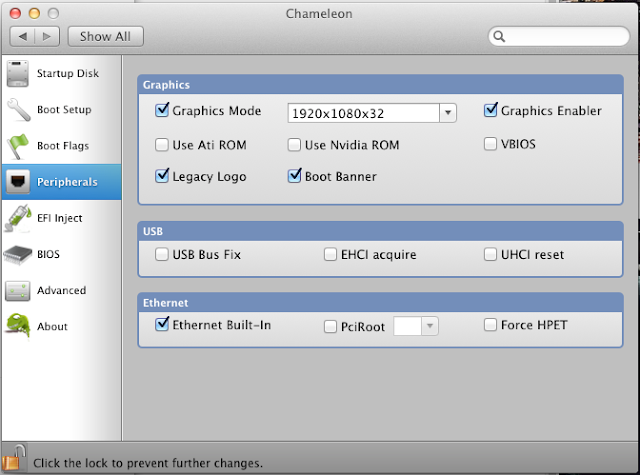 However, if you prefer a point-and-click approach, Chameleon Preference Pane offers an easy way for you to edit the options for your Hackintosh's bootloader, straight from Mac OS X's System Preferences. Chameleon Preference Pane has a very self-explanatory name: it's a preferences pane for Chameleon bootloader (though it also works with tonymacx86's Chimera bootloader, which is installed by Easybeast and UserDSDT). 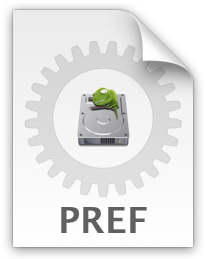 To install Chameleon Preference Pane, download the zip file, unzip it (by double-clicking on it), and install the resulting prefpane file (again, by double-clicking on it). 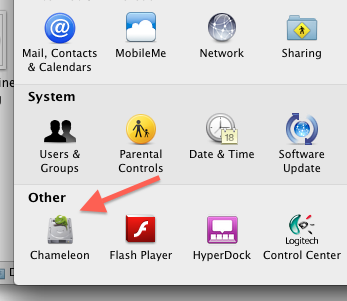 Your new Chameleon preferences pane will appear immediately. The preferences pane is divided into several sections, some of which are obvious in their intent, while others are less so. The preferences displayed on Chameleon Preference Pane are locked at first, so you need to click the lock icon on the bottom-left to enable editing. The pane loads the startup Disk options by default, but these rarely need to be messed with, so it's the other pages that really make Chameleon Preference Pane interesting. On the Boot Setup page, you can turn on the "Hide Partitions" and "Rename Partitions" options, which are two very useful (but poorly documented) features in Chameleon. 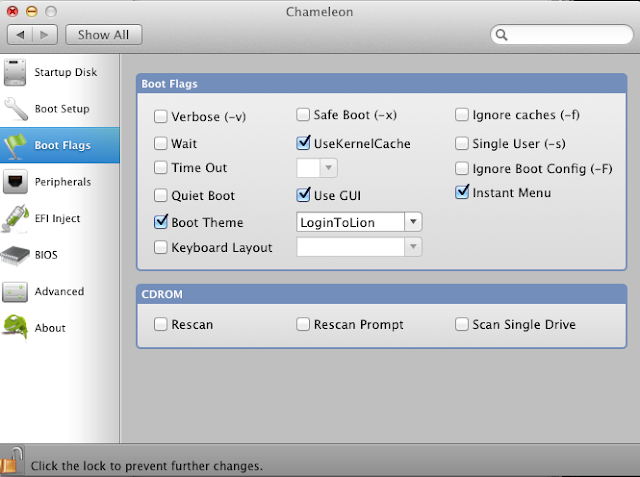 Meanwhile, the "Boot Flags", "Peripherals", and "Advanced Sections" all contain useful boot flags that can be applied to Chameleon. There's no clear division between any of these sections, so if you're looking for one particular Chameleon option, be sure to check all three sections. 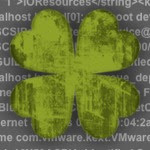 Some of these boot flags are very frequently used, while a few are more obscure. The "Boot Flags" section also contains a boot theme switcher. 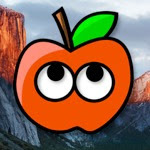 The EFI Inject section deals with more advanced boot options, for activating unsupported graphics cards and ethernet adapters. We won't be covering those topics in this post. Chameleon Preference Pane isn't perfect. 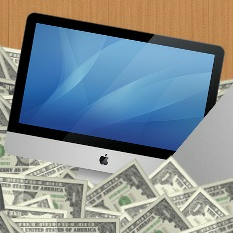 Namely, it doesn't explain what any of its boot options actually do. Using this preference pane is advantageous if you're unfamiliar with editing .plist files, but you'll still have to do research on which options you need to use. 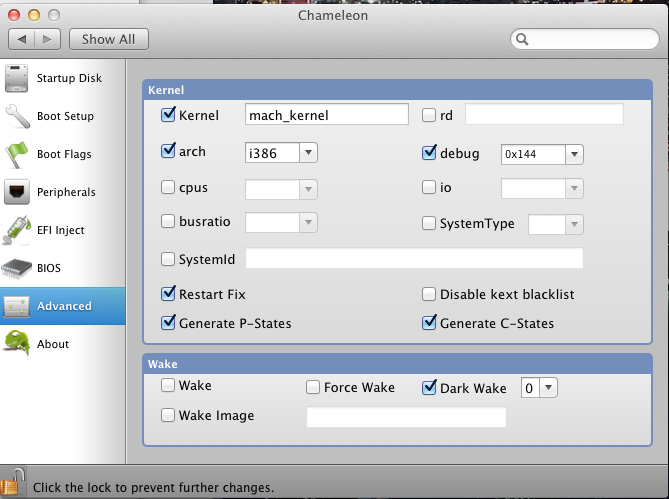 However, this preference pane provides an appealing alternative for any Hackintoshers with limited computer knowledge. To put it one way: if you don't know what a .plist file is, then just use this instead.